When I heard Lord Howell’s pronouncement that there were “large, uninhabited and desolate areas” in the North East of England I dared to hope that the House of Lords had finally begun to address the issue that it’s pretty grim up north for coffee drinkers. Hurrah I thought, no more sour under-extracted shots, no more no-look tamping while they watch a customer eating a bap, yes I said bap, no more spotty teenagers leaving the milk jug under the wand, only to wander off to talk about some celebrity with their workmates. I thought the time for well-crafted coffee had arrived and the honourable Lords were going to bloody well do something about it. We went to Copenhagen especially to go to Noma but discovered a surprisingly evolved coffee culture. Denmark has lots of coffee shops because it’s so cold and dark in Winter. 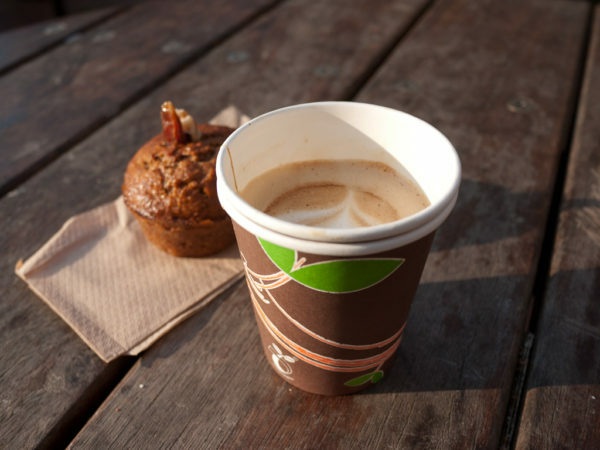 Going out for coffee with friends seems to be a national pastime because it gives you an excuse to get out of the house. When the weather improves, it’s still nice to have coffee in Copenhagen and the city really comes to life. The best flat white in Denmark at Coffee Collective Copenhagen. Noma was voted as the best restaurant in the world for a few years running. They recently had a food safety issue, but it’s still an amazing restaurant. A real culinary adventure. We thoroughly enjoyed the experience and the creativity was truly inspiring. 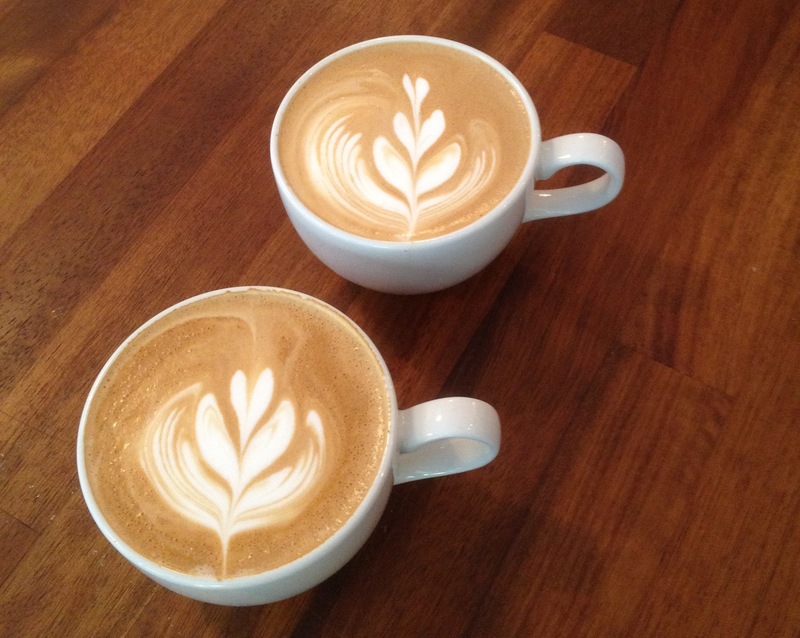 While in Copenhagen we went exploring to find the best Flat White in Denmark. TimberYard cafe just opened in Old Street between Shoreditch and Clerkenwell. I’ve been waiting for a casual, friendly cafe with plenty of seating in EC1 for a long time. Look Mum No Hands (next door on Old Street) is great but the coffee isn’t perfect and it often gets far too crowded to be able to relax and think. 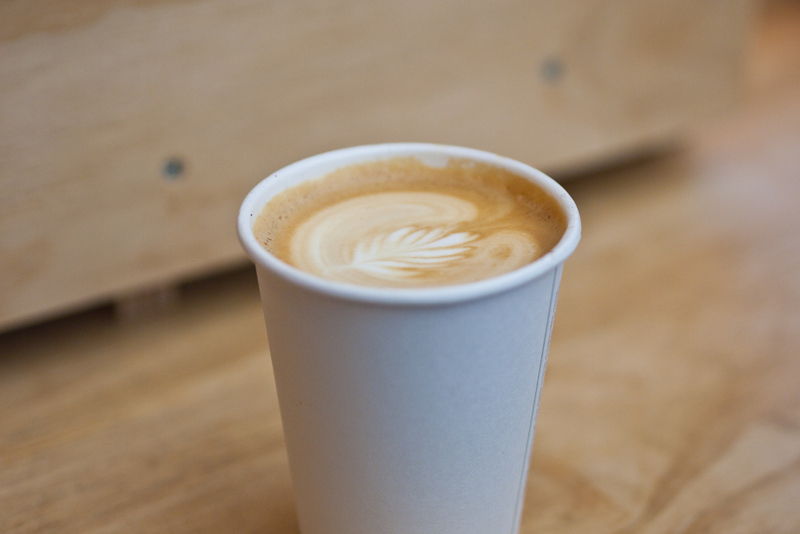 The Flat White at Timberyard Cafe in Old Street is not as good as it should be. I’ve been wondering why none of the cafes in Shoreditch have opened up their basements or their un-used first floors. Some days I traipse around Dose at Google Campus, Salvation Jane, Shoreditch Grind, Goswell Rd, Fix and Look Mum No Hands just looking for a place to hang my Macbook. Railroad cafe in Hackney is a nice small cafe. 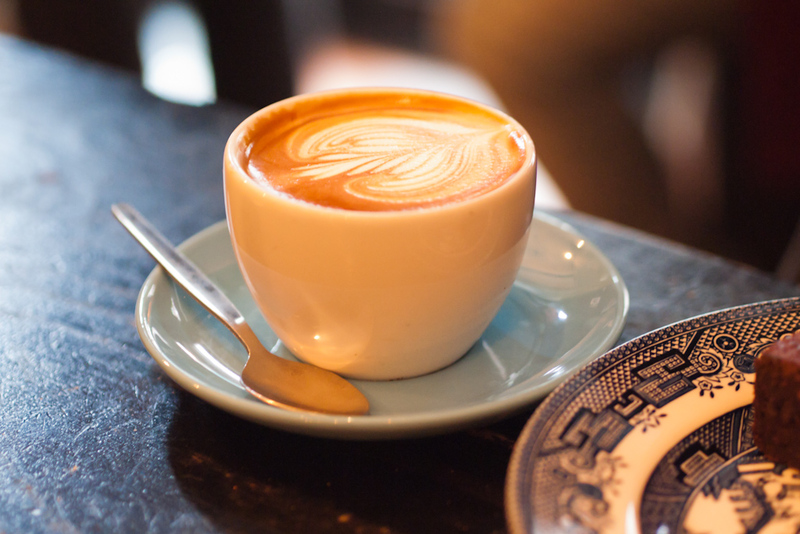 It’s in Hackney and is part of the growing number of lovely independent cafes in the area. But it’s not quite pushing the boundaries of coffee quality. Railroad is like a dependable old friend. The flat white was yummy and the pottery cups added a nice touch. It’s a great neighbourhood hangout but probably not worth traipsing across London to get to. Giddy Up has real heritage as a local coffee venue. The baristas are excellent. 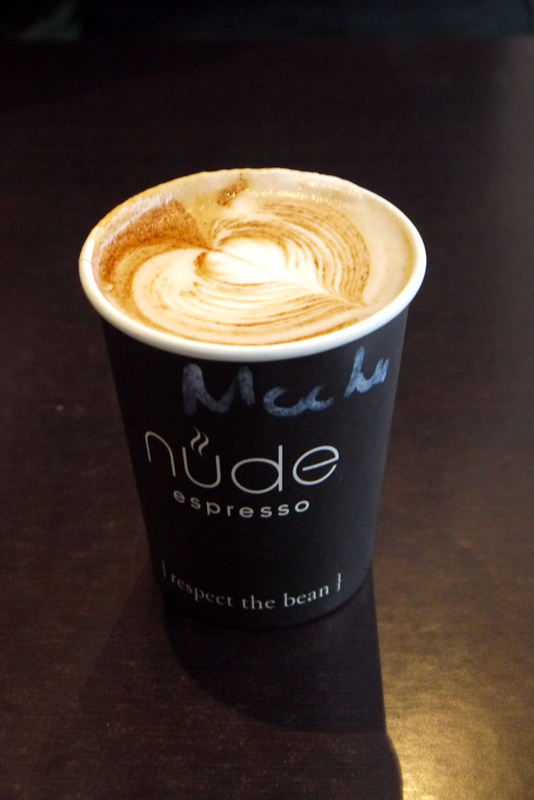 On the day, the flat white was actually only ok, not amazing. The mouth feel was a bit tart and the froth wasn’t as velvety as it could have been. But the overall experience was stunning. 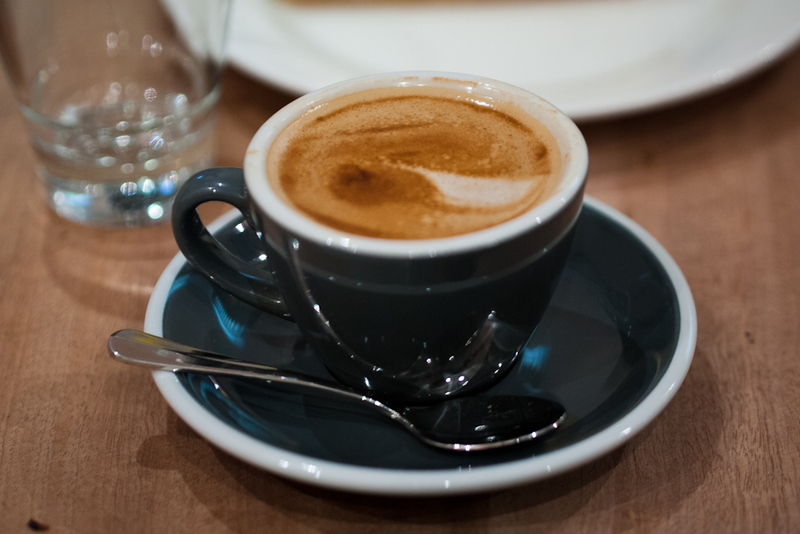 Dose Espresso was the first cafe that we visited in Clerkenwell. We were exploring the Barbican while apartment hunting and needed a coffee to help brace us for the steep local property prices. It was early days in London for us so I was pretty impressed when we bumped into two Sloan Rangers in mock riding gear. I thought to myself, this is a haven of modern classiness in a sea of grungy hipsters. In the year or so since then, Dose has continued to impress as a clean, efficient and modern cafe. City bankers mix easily with Farringdon web designers and Clerkenwell architects. The latte at Dose is small but perfectly formed. The seating, architecture and vibe are welcoming, but not too welcoming. The staff aren’t quite “too cool for school” but somehow the whole layout does make you accutely aware that you are somewhere that knows that it’s “cool”. 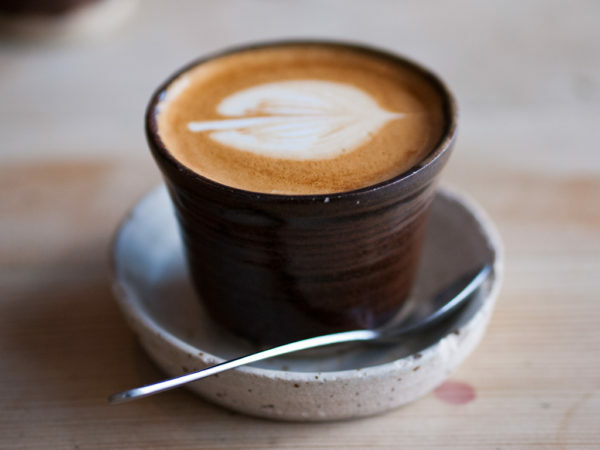 Flat White in Soho started in 2005 before the flat white was widely available in the UK. It was the original antipodean cafe in London and therefore the first place that I went when we landed in London after living in Colorado for a ski season. A flat white from Flat White and a peak of the best chocolate brownie in London. 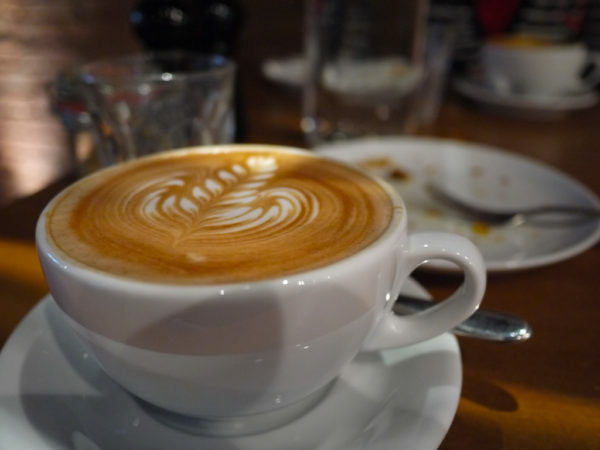 I vividly remember the feeling of sitting in Flat White in Soho on a grey London day. Homesick for the fist time and hearing the first New Zealand accents that I’d heard in months. Suddenly I understood China Town in San Francisco, the Jewish Quarter in Paris or the British expat bars in Asia. When we are a long way from home, we take some comfort in familiar accents, customs and foods. 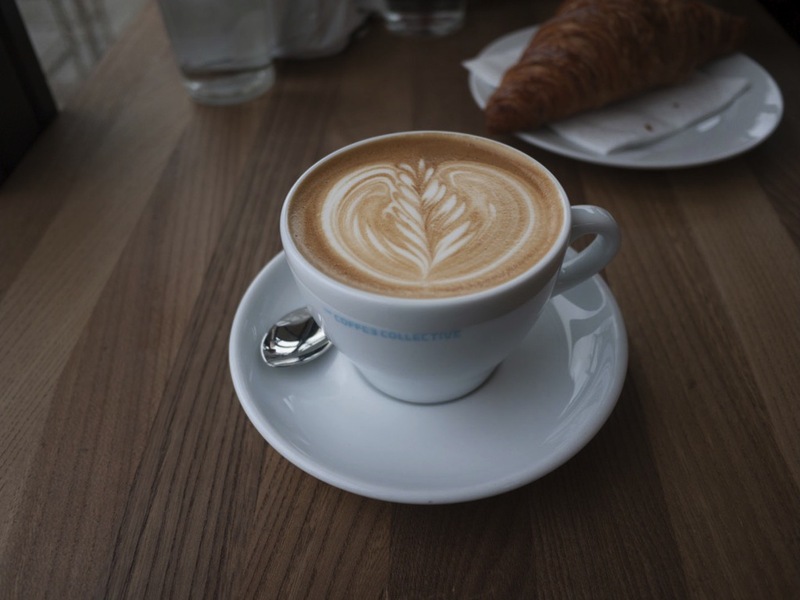 Once you get more into coffee, you might start to ask yourself why you can’t choose the coffee beans that go into your flat white. It’s almost always a generic blend chosen by the cafe and there is no chance for you to learn by tasting different beans. The same thought occured to architect Hoi Chi Ng and the itch eventually turned into The Coming Soon Pop-up Cafe in Exhibit Gallery at the Barbican. Hoi Chi is using as many different beans as he can get his hands on. This is a definite journey of discovery for him, but he’s inviting all of us to come on the journey with him. 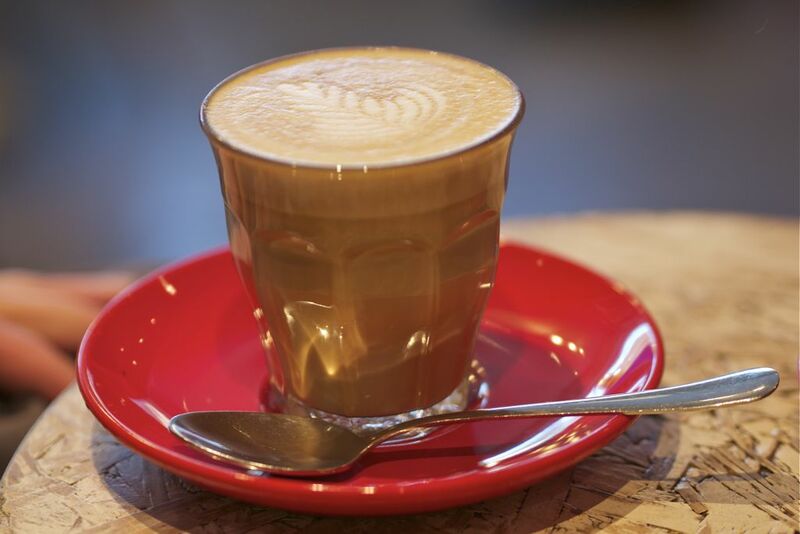 St Ali is a Melbourne based cafe that has made the leap into London whole-heartedly. Their cafe in Clerkenwell started slowly but is now one of the benchmarks for modern cafes in London. St Ali London have recently changed their name to Workshop Coffee. The name change helps give the UK outlets their identity. I’m not sure I like the change but the coffee is still good.